Carmel-by-the-Sea, a charming beach city on California's Monterey Peninsula. Known for its history, fairytale cottages and galleries, Carmel is a must-see when in California. As a kid I pictured California to be full of busy streets and bright lights, but never really considered the softer side of its smaller cities. So this summer when we set out on a trip to visit San Francisco, Napa and Carmel I thought I knew what to expect. Carmel blew away my expectations and needless to say, I can’t wait to go back. This small, quaint city on the ocean is perfect for foodies, art lovers and wine drinkers alike. Plus, you may make some friends along the way! We spent two nights in Carmel staying at the Hofsas House, an adorable spot just a short walk to the ocean. This boutique hotel offers spacious, furnished rooms, a pool, free parking and a view of pebble beach. Hofsas House is the perfect spot for couples and families. Steps from restaurants, the beach and galleries, each room has a kitchenette and stunning views of the seaside village of Carmel-by-the-Sea. Our first night was spent wine tasting at Scheid Vineyards and Dawn’s Dream Winery. The next day we had a picnic on the beach courtesy of 5th Ave Deli – so delicious and what a view! Highly recommend stopping by their tasting rooms in Carmel, only steps away from each other. We finished our final night with the 17-mile drive through Pebble Beach before eating at the Beach House at Lovers Point. 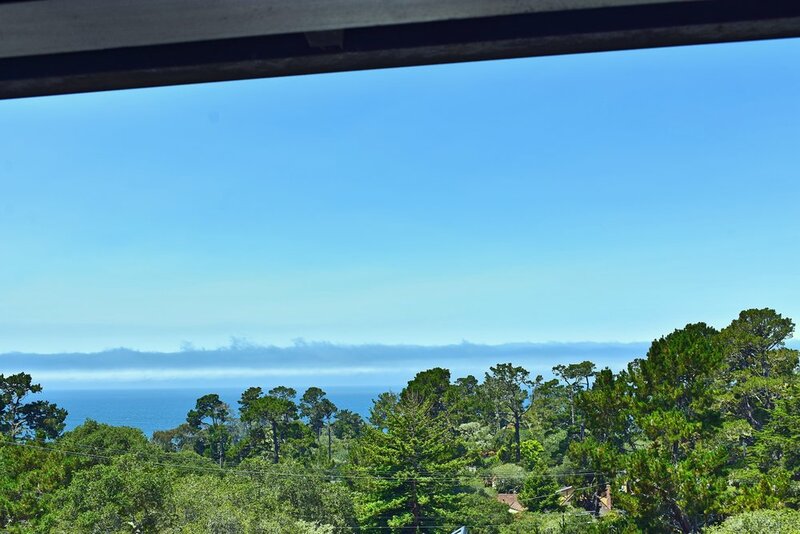 The views in Carmel are absolutely stunning and unlike other cities down the coast, you can walk almost anywhere. As you walk through the shops be sure to check out Diggity Dog, an adorable boutique shop for your pet! Known as one of the most romantic cities in the world, Carmel-by-the-Sea is also a food and wine destination with more than 50 restaurants and nearly 20 wine tasting rooms all within one-square mile. Don’t believe us? Go explore for yourself! Until February 4, 2019 you can enter for a chance to win one of three deluxe Food, Wine & Romance Getaways in Carmel-by-the-Sea!